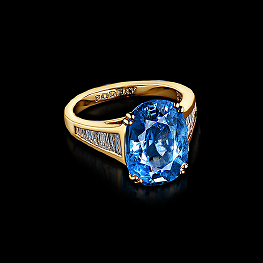 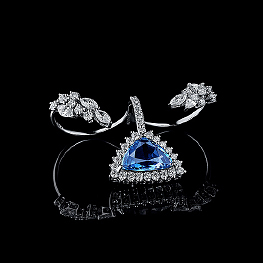 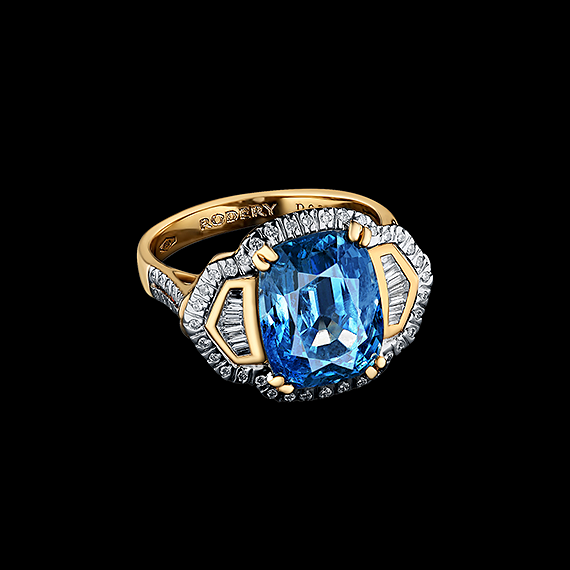 This glorious sapphire was born in Burma and it reminds us a mystical history of Southern East. 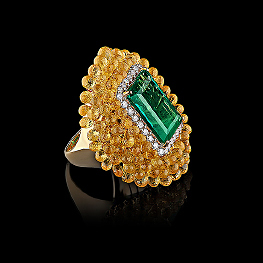 A complicated geometric form recalls us jewels, that was weared by ancients queens of Asia. 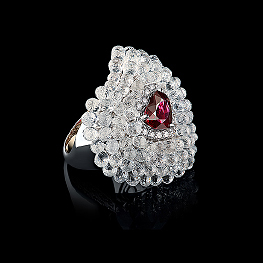 Diamonds, encircling the main gem, emphasize its beauty.